I believe this collage is part of my intention to understand and visually integrate the ordinary and the divine. 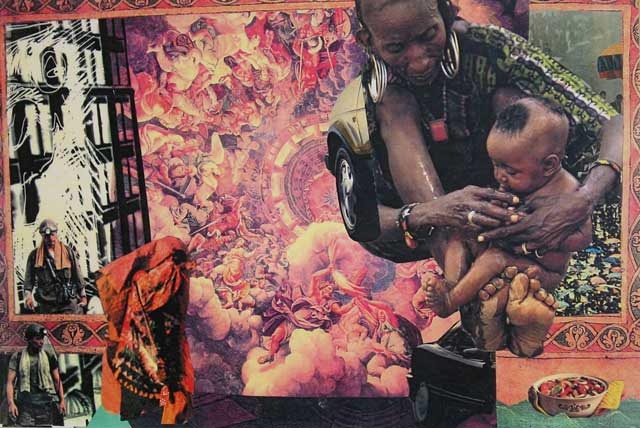 There is a definite reference to representing the divine, with the renaissance cathedral ceiling image, in contrast to the African mother and child image. As part of trying to understand the scope of the divine, I was also studying or thinking about the play of opposites and their power on consciousness and experience.